Well… That was certainly not what I was expecting. I think it says something that Shokugeki no Soma, at the 21st episode of its third season, is still very unpredictable. One of the things that I totally expected to see eventually was the whole deal between Azami and Joichiro. What I didn’t expect, was to see it as soon as this week. Indeed, unexpectedly, this week’s episode was primarily a flashback episode, telling us of the remaining bits of Joichiro’s stay at Totsuki. The thing that came to mind for me this week, as Joichiro’s story played out as a series called Tenjou Tenge. 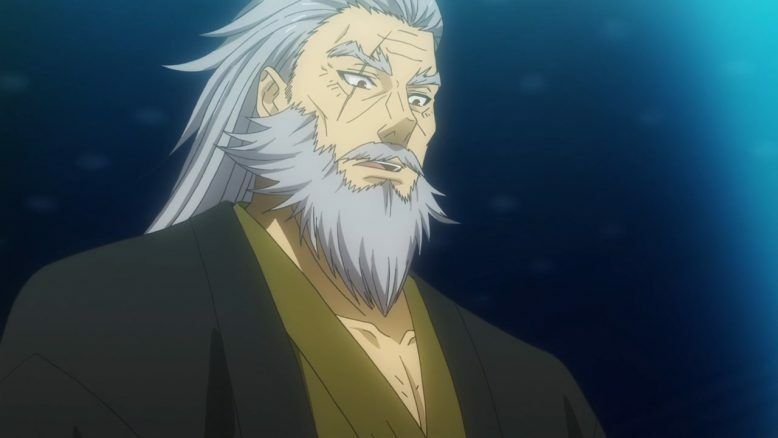 Tenjou Tenge was a Seinin manga that got a 24 episode anime series, and there’s certainly some similarities between that particular show and what we got this week. 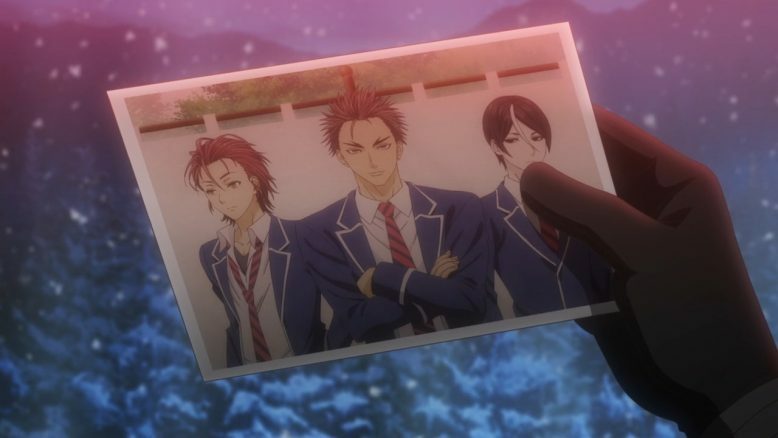 In a rather odd change of pace, the bulk of Tenjou Tenge’s story actually revolved around a flashback arc, at least as far as the anime was concerned. There’s one final part of the story that follows after the flashback, but all in all, the flashback itself steals the show, and is where all the fun of the story is. 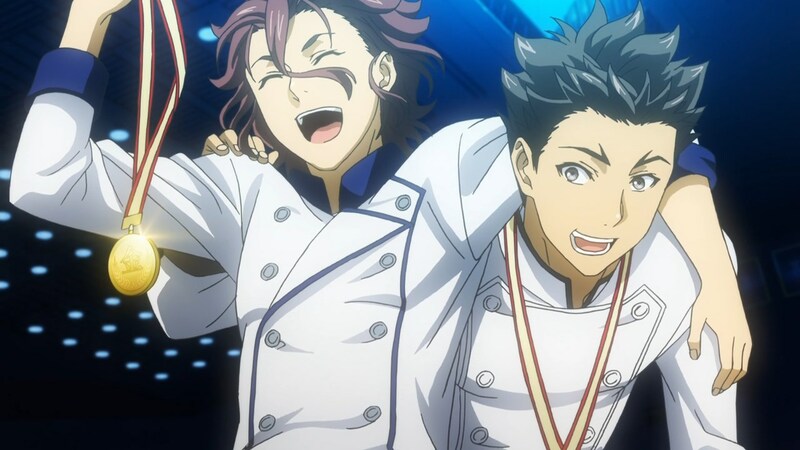 And the reason I thought of Tenjou Tenge, was because Shokugeki no Soma had lightly been hyping Joichiro and Azami’s school days as a pretty seminal event. It seemed like all the lore and the plot of the show was originating from that one central event; Joichiro leaving Totsuki. 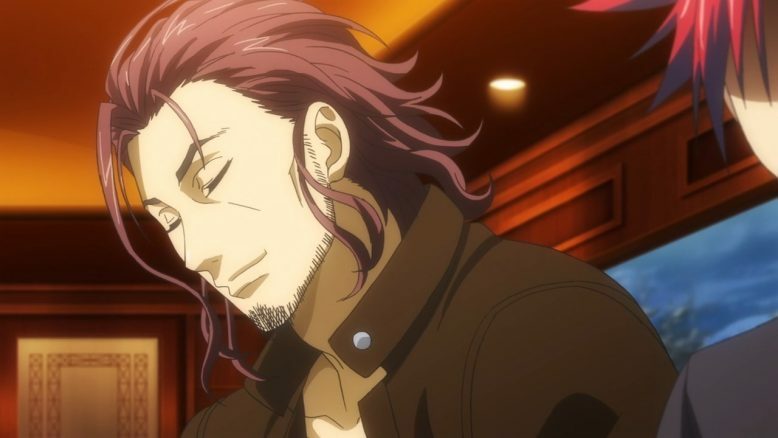 I fully expected, therefore, that Shokugeki no Soma would spend the next few episodes recounting Joichiro’s story and perhaps end the season at the conclusion of said story. 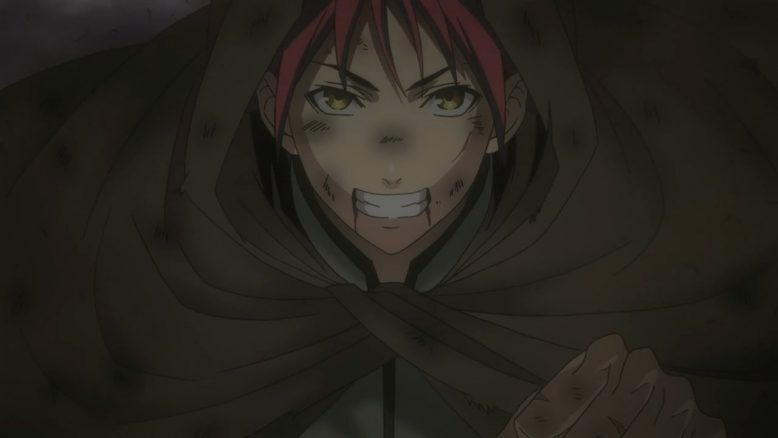 But imagine my surprise when this episode not only covered the story, but in that it actually brought some realism and nuance to Azami arc itself. Azami as a character is pretty out there, doing some really crazy things that seem a bit too outlandish. As Soma himself remarks after hearing Joichiro’s tale, he half expected Azami to have been wronged by Joichiro in some crazy kind of way. The answer, however, to all the questions regarding Joichiro, were a lot more simpler than had first appeared. Simply put, Joichou’s past is one of just having a breakdown from too many expectations and too much stress. Its a story that’s actually quite common in the world. A story where the one with talent is slowly but surely isolated and crushed by his or her own successes. Added to the immense that Joichiro felt by being such a cut above everyone else, was the fact that he resided in an environment like Totsuki. You’ve heard me harp on Totsuki before, and I think Joichiro’s story is the school’s biggest failure. It shows that Totsuki’s current style (the one before Azami) wasn’t entirely okay either, since it puts waaay too much stress on its students. And stress is one thing, but the kind of mindset that Totsuki creates in its students is one of fierce competition, one-ups-manship and constantly trying to achieve new heights. The school has left many broken in its wake, and we’ve seen that throughout the series. Soma’s first real mentor after his dad, Shinomiya was also going through his own pains after having left the academy. Simply put, constant and consistent success is impossible, and its near tragic that Totsuki ruins its students and doesn’t prepare them for reality. And how could it? I mean, the weak students are just weeded out and removed entirely, and so only those that continue to succeed remain. But failure comes for everyone, and so its quite clear that said failure comes to these “Totsuki graduates” when its simply too late. A good learning environment actually allows students to grow and learn from their mistakes, all BEFORE they go out into the real world. Totsuki, however, is a compressed, stress ridden version of the real world, where stakes are so high that its hardly fair. That unfairness, is what ultimately brought Joichiro to outright leave Cooking, and what created the current version of Azami. Which, I think, is a really powerful and clever idea. This story feels a lot more real, not because it justifies Azami’s actions or even makes him sympathetic, but because it shows just how broken and mentally ill he is. Strangely, it seems like Shokugeki no Soma is very much interested in mental health. Whether its Erina’s situation with her father, or Joichorou’s breakdown, it’s all being handled with a degree of care that comes from real life experience. To me, it makes total sense that Azami would have a dark chapter in his high school life basically rule and dominate his entire life. People put a lot of emphasis and value into their high school lives, and often never get over something that happens in those formative years. Joichiro, in a sense, was lucky because he was, at the very least, guided to take a break and disconnect from the thing that was ruining him. To that end, I do give props and respect to Senzaemon Nakiri. His academy doesn’t do the best job of creating an ideal learning environment, but he does at least care for his good students. Sending Joichiro away was what ultimately saved the guy and what led to him finding his place in the world. 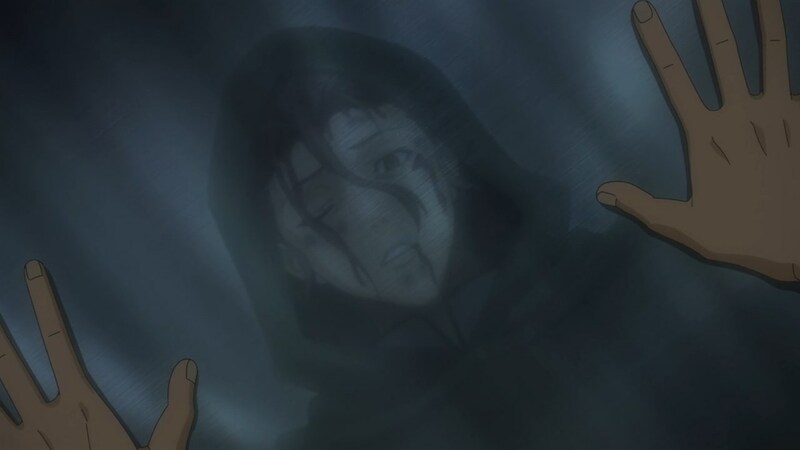 Soma is obviously part of what gave Joichiro’s life both some meaning and some calm, and I loved the moment where Joichiro actually compared himself to his son. Its rare for us to see Dads, especially in shounen, humble themselves before their own children. But Joichiro does indeed realize that Soma has something that very few human beings have. Soma enjoys the journey, he thrives in difficult situations and he always perseveres. 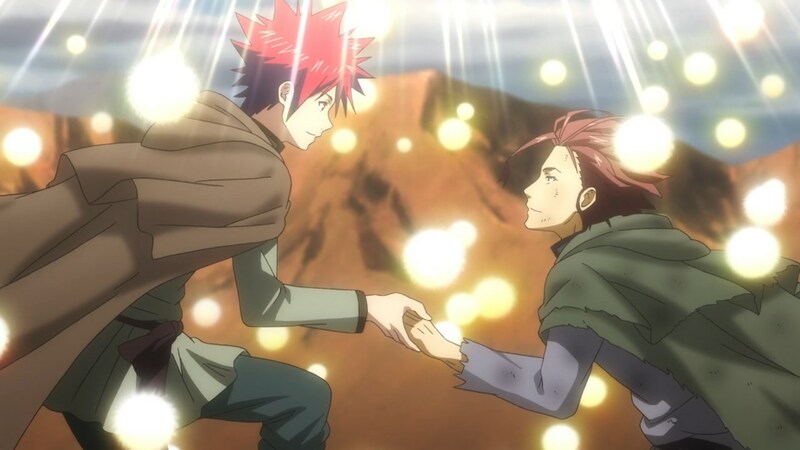 Its a quality that makes Soma such a likable protagonist, but I think it’s also why everyone around him in his story, seem to benefit so much from him. So all in all, I’d say this story regarding Joichiro was a pretty solid one. I did get a sense that the story was rushed, but I think in this case, it actually added to the power of the story. The idea behind this whole backstory is simple, and thus I don’t think a long drawn out, multi-episode story would’ve served any better. The one question now, at least in my mind, is where Azami and Joichiros’ wives come in. 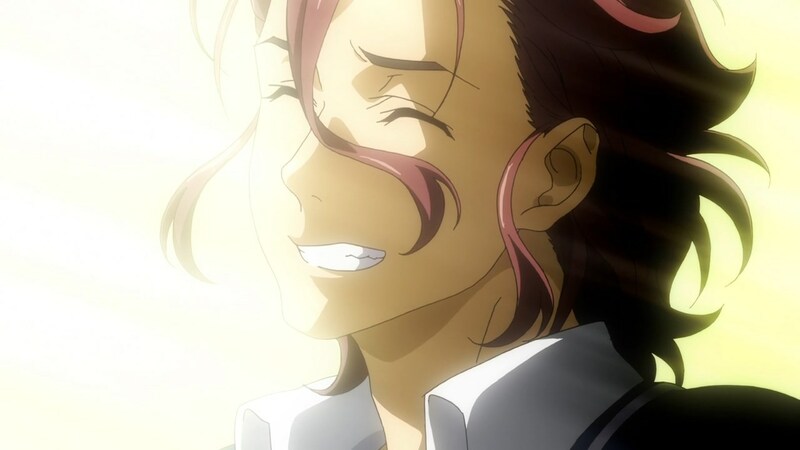 Both Soma and Erina have mothers, and yet the show and the story has quite blatantly kept them out of the picture. A big part, I assume, of what led Joichiro to find his inner peace, was in meeting the love of his life. That, I think, is the final piece of the story and of the Shokugeki no Soma puzzle. Of course, I assume we won’t get any mention of Soma or Erina’s mothers any time soon. 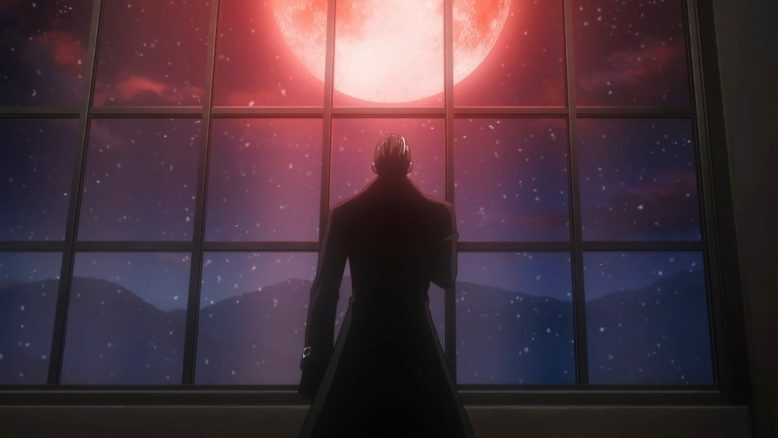 We’re coming up on the end of the season, and I suppose now the focus has to rely squarely on Soma, Erina, Megumi and Takumi. The kids have a team Shokugeki against the Elite Ten to look forward to, and for now, it seems like the build up to that will be very much the focus. 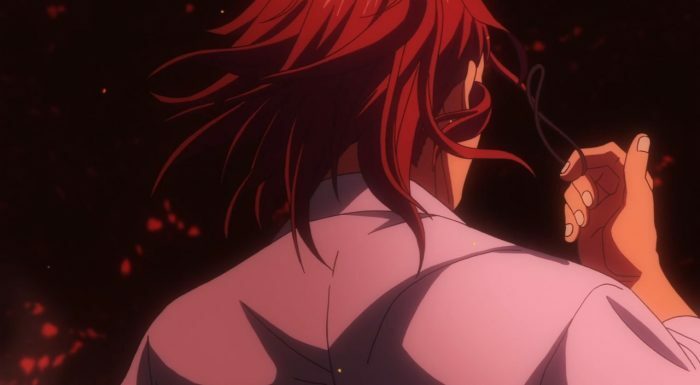 It’ll be interesting to see what Shokugeki no Soma presents in its remaining 3-4 episodes. I was certainly not expecting the answers we got this week, but I very much appreciated them. But, with that story told. I seriously have no idea where this show is going to go next. And honestly? I wouldn’t have it any other way.